Disclaimer Please note that it is impossible to include all TV shows. You can still have your say in the comments if your choice is not in the poll. Welcome to YouSay, SpoilerTV's way of getting your voice heard. We are going to pick a popular topic and then let you guys vote for the winners. Once we have all of the results we will announce the Top 10 on our YouTube channel. We will also read out some of your comments and thoughts on why you made your choices. Why not subscribe to our YouTube channel by clicking the button below or visiting the page here. Below is the Top 10 from a list of 30. Do you agree with the Top 10? 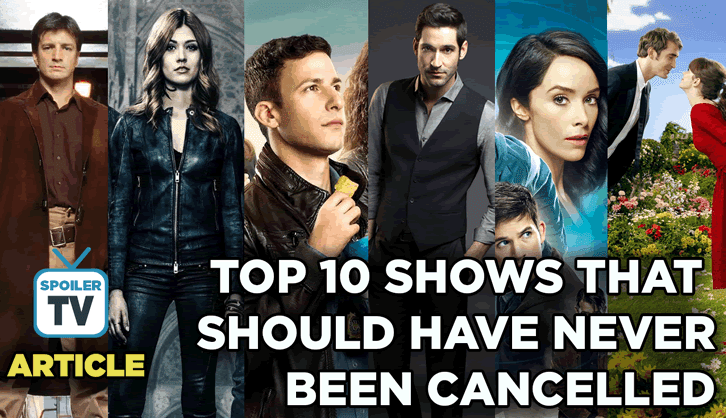 Let us know in the comments what shows would have been top of your list! If the YouTube Video is blocked in your country, please try the video below.